Rajasthan is pictured as a joyous riot of colours. Not only the people here are dressed in colours and offer the great hospitable experience, even the cities here wear the shades of welcome, pride and honour. If Jaipur is elegantly draped in welcoming pink, Bikaner and Jaisalmer are covered into golden honey hues, Jodhpur is coated in royal blue hues and Udaipur and Ranakpur are etched in white marble. 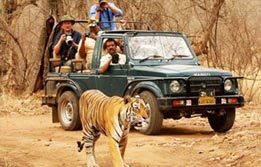 Such is the brightened excitement of different cities of Rajasthan that come together under Colours of Rajasthan tour and bring the gaudy royal holidays close to the tourist for a fortnight. Upon arrival at Delhi Airport, meet India Budget Tours representative who will assist the transfers to the hotel for overnight here. 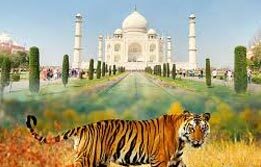 In morning, visit the Red Fort, Raj Ghat and Jama Masjid. 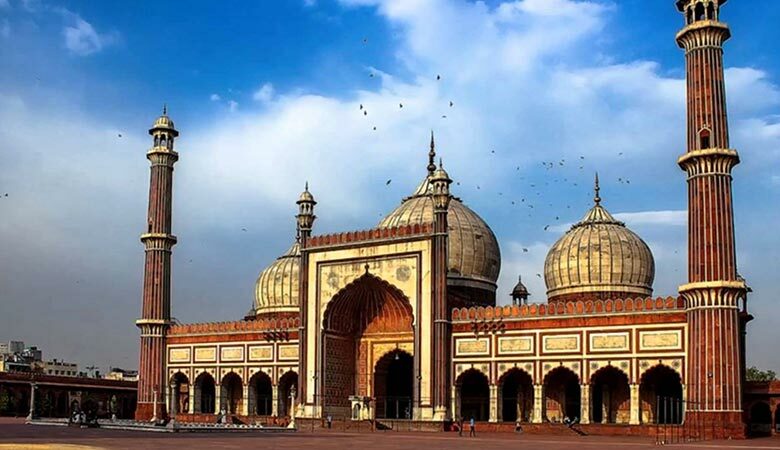 In afternoon, continue the sightseeing of New Delhi via a visit to the Qutab Minar, Humayun's Tomb and sum up the day with a drive past the imperially designed democratic foundations of India through India Gate, Parliament and President House. Overnight in Delhi. Leave Delhi for Mandawa, the open art arcade. On arrival, check in at hotel. Later, visit Shekhawati region to see painted murals on the outer mansion walls. Overnight stay in Mandawa. Leave Mandawa for Bikaner. On arrival, check in at hotel. 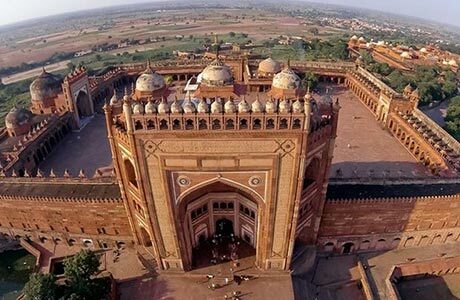 In afternoon, begin a sightseeing tour of Bikaner via a visit to Junagarh Fort, Golden Jubilee Museum and Asia’s largest Camel Breeding Farm. Overnight stay in Bikaner. Leave Bikaner for Jaisalmer. On arrival, check in at hotel. Check into hotel. During late afternoon, continue an excursion towards the scintillating Sam Sand Dunes. 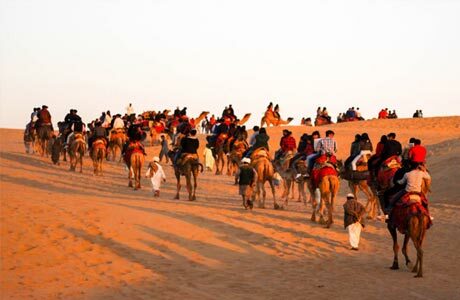 Enjoy a camel ride and view of the desert landscape. Overnight stay in Jaisalmer. Morning begin the sightseeing of Jaisalmer via a visit to imposing honey hued castle of Jaisalmer fort, Jain Temples, Gadisar Tank, iconic Havelis, Bara Bagh cenotaphs built amidst Garden tanks with carving and inscriptions. Evening visit Handicraft Emporium. Overnight in Jaisalmer. Leave Jaisalmer for sunny city of Jodhpur. Enroute visit Osian, famous for its ancient set of temples and remarkable heritage. 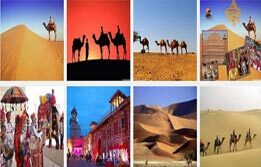 Option of camel ride can be availed easily here. On arrival, check in at the hotel. Rest of the day is free at leisure. Overnight stay in Jodhpur. 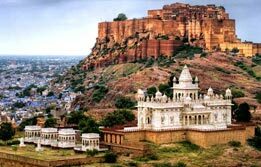 Morning begin the sightseeing tour of city visiting Mehrangarh Fort and Jaswant Thada. Within the fort are some magnificent palaces. 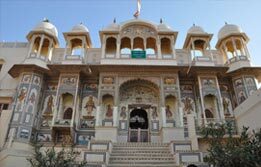 Later visit the Jaswant Thada known for a cluster of royal cenotaphs in white marble. After city tour, leave for Ranakpur to see the marvellously carved Jain Temples built in the 15th century, situated in the Aravali valley. Later, leave Ranakpur for Kumbalgarh. On arrival, check in at hotel. Overnight stay at the hotel. Morning is free to explore the Kumbhalgarh Fort. This place is known for its remote hilltop fort famed for its fascinating black marble work. Later, leave Kumbalgarh for Udaipur. En-route visit Eklingji & Nagda temples. Upon arrival, check in at hotel for overnight in Udaipur. 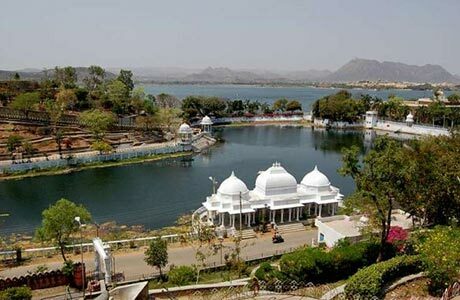 Morning city tour of ultimate city Udaipur and its scenic bliss in the form of the City Palace and Sahelion ki Bari. Later, drive around the Fateh Sagar Lake. In evening, enjoy surreal boat ride on Pichola Lake. Visit the island palace of Jag Niwas. Overnight stay in Udaipur. Leave Udaipur for Pushkar. Enroute visit Ana Sagar Lake, Dargah of Khwaja Moinuddin Chishti in Ajmer, Taragarh Fort and the Museum in Pushkar. Overnight a stay at the hotel. Morning in Pushkar is dedicated to the spiritual sojourn through the holy temples in the town around the Pushkar lake. This town is renowned as the site of the only Brahma, the creator’s temple in the world. In the afternoon, drive to Jaipur. On arrival, check in at hotel. Overnight stay at the hotel. Morning excursion to Amber Fort. 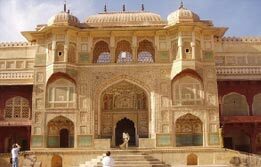 Amber is a romantic Rajasthani fort palace. Located atop a steep hill, this fort requires royal elephant / jeep safari to ascent and access the fort. 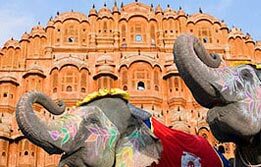 In afternoon, continue the sightseeing tour of city via a visit to the living Maharaja's City Palace. Later, visit the Jantar Mantar, which is the largest stone and marble crafted observatory in the world. Overnight stay at the hotel. 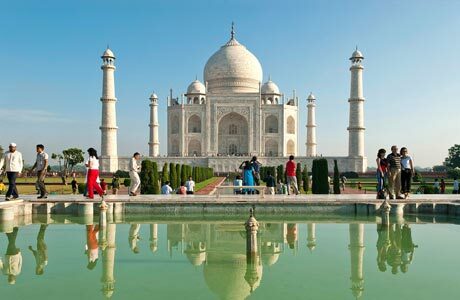 Leave Jaipur for Agra, the city of Taj Mahal. En-route visit Fatehpur Sikri built by Emperor Akbar in 1569. It got abandoned after 15 years due to scarcity of water. On arrival, check in at hotel. Overnight stay at the hotel. 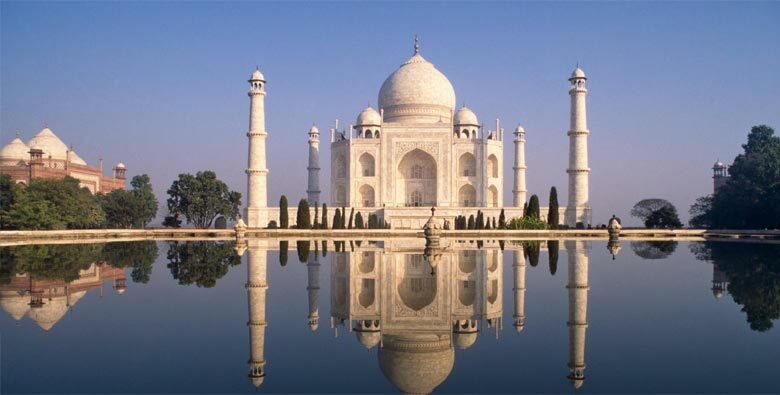 (Taj Mahal remains closed on all Fridays). Transfer to airport in time for flight to onward destination. Room on twin sharing basis at each place as per itinerary for total 15 nights. Hotel check in / out 12:00 hrs. Aircon Standard Car (Tata Indigo / Ambassador) for all transfer and sightseeing as per the itinerary. 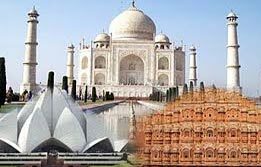 English speaking guide at each place as per the itinerary during sightseeing tour. Camel Ride at Osian and Jaisalmer (San Dumer). 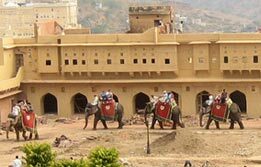 Elephant Ride / Jeep Safari at Amer Fort Jaipur. Any Monument entrance fee (to be paid directly at the monuments). Please find below list.